Is there really a Captain Freeman? We love telling stories about “our sea captain” and the history we have gathered over the years of this prosperous clipper ship captain that built our lovely home. 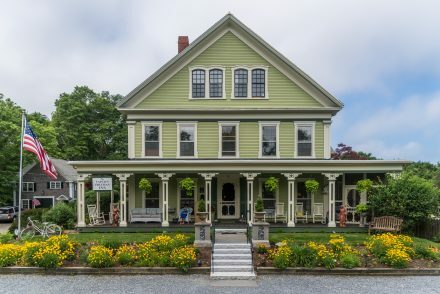 During the summer months we also host historical tours put on by our local Brewster Historical Society where we talk about some of the historical features of our inn, what it was like commanding a clipper ship for months at a time and some local stories we have heard about Captain Freeman. William Freeman was born in Beverly, MA on January 27, 1820. In September of 1845 he married Phebe Hurd, and together they had two children, Willard (b. 1846) and Clara (b. 1862). Phebe passed away in 1885, and in 1886 William was remarried to Hannah Gould, with whom he had one daughter, Phebe (b. 1891). 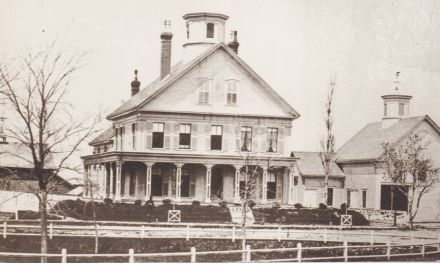 He lived in Brewster until his death in 1911, and was the oldest resident in town at the time of his passing. 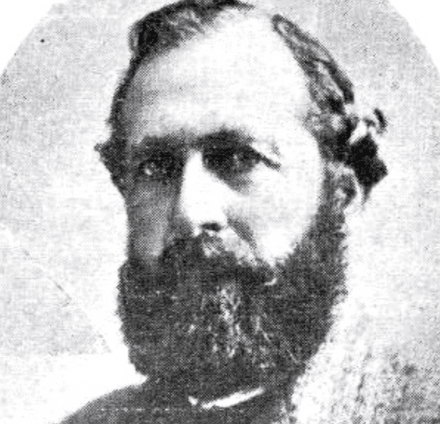 Several weeks prior to his death Captain Freeman had the misfortune to fall and fracture his hip which hastened the end of his long life of ninety-one years. He died in West Upton, MA, where he and his wife were spending the winter with her relatives. In November, 1853, on the passage from Liverpool to Bath, the “Maine” was lost on a bar at the mouth of the Kennebec River. FROM the book Brewster Ship Masters. Page 37 WILLIAM FREEMAN He was born in Beverly, January, 1820. He commanded the ships “Maine,” “Undaunted,” “Kingfisher,” “Monsoon,” “Mogul,” “Ocean King” and “Jabez Howes,” the steamers “Zenobia,” “Palmyra” and “Edward Everett.” Captain Freeman writes as follows : In November, 1853, on the passage from Liverpool to Bath, the “Maine” was lost on a bar at the mouth of the Kennebec river. 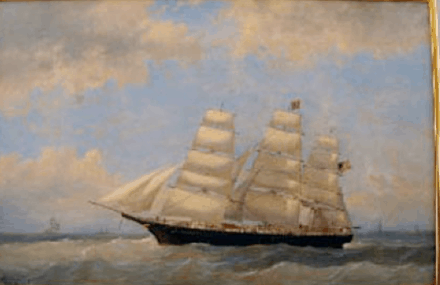 In 1859, soon after leaving Boston on the ship ” Undaunted,” a part of the crew mutinied, and I was severely wounded; but after a consultation with the officers I decided to go on and finish the voyage to St. John, N”. S., where the mutineers were turned over to the U. S. consul and by him sent back to Boston. On the passage of the ship ” Mogul ” from Liverpool to San Francisco the cargo of coal took fire by spontaneous combustion on July 26. We remained by the ship until August the 7th, when we were compelled to leave. Having prepared three boats, we divided the crew of twenty-seven men as equally as possible, and at seven o’clock on the evening of August 7, in latitude 17.53 south, longitude 100 deg. 25 min. west, we left the ship with instructions to try to reach the Marquesas islands, 2100 miles distant. This, all were fortunate enough to do, after eleven and twelve days. Remained on the island five days, when we were taken in a small sloop to the island of Nukahioa, where we found the French governor and placed ourselves in his care. After about two weeks we were taken in a schooner to Tahiti, and from there were sent by the TJ. S. consul to San Francisco, where we arrived four months after leaving the ship. Quite a man with a wonderful vision to build his lovely home for he and his family. We are continually amazed at his foresight to design and build such an amazing building. 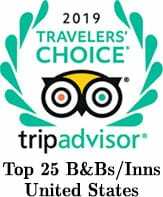 We stay warm in the winter, cool in the summer and have the original dry basement for storage and behind the scenes workings of our inn. 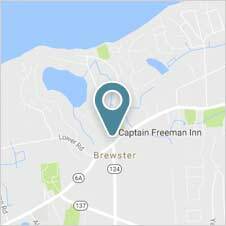 While staying at your lovely inn and researching my Mayflower ancestors, I discovered that Captain Freeman was my many-times great uncle! Such fun to stay at Uncle Bill’s house!